Michael has over 20 years of experience advising companies on customer, brand, and go-to-market strategies, as well as the communication and design systems driven by those strategies. Michael’s ability to solve a broad set of underlying business challenges comes from his extensive knowledge of insight methodologies, strong conceptual and strategic skills, knack for identifying what matters to executives, and acute sense for clarifying the complicated while unearthing critical issues. Michael has successfully led multiple engagements for a wide variety of B2B and B2C Fortune 500 clients including GE, IBM, DuPont, Boeing, CDW, Cargill, Textron, KeyCorp, Kohler, and United Airlines, as well as mid-sized companies, such as the College of American Pathologists, Sea Ray Boats, the Syfy Channel, and the Blue Bird Bus Company. He has designed, conducted, and analyzed extensive market research; developed comprehensive customer and brand strategies; managed large teams toward far-reaching solutions; and guided executives toward consensus and clarity around contentious strategic issues. Most recently, Michael was a partner at VSA Partners, a 300-person brand agency, where he built and led the strategy practice that grew under his guidance to a 15-person team. At VSA, he was responsible for extending the firm’s offer to address broader business issues of its clients, mentoring the team, and building capabilities. Prior to VSA, Michael spent ten years as an associate partner at Prophet, a management consulting firm focused on strategic brand and marketing issues. While at Prophet, Michael managed a multi-year relationship with GE Healthcare and developed rigorous customer targeting, innovation, brand portfolio, and brand architecture strategies. 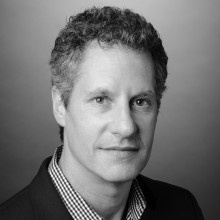 Prior to Prophet, Michael was a director at Landor Associates at its then-headquarters in San Francisco where he led several large brand identity engagements with top-tier creative teams. Michael has guest lectured on branding and strategy at the Kellogg Graduate School of Management at Northwestern University and Haas Business School at University of California, Berkeley. He has facilitated workshops for the American Management Association, was a panel member for high-ranking business schools, contributed to thought-leading writings, and has frequently spoken at board meetings for his clients. In addition to holding a B.A. from University of Colorado with concentrations in architecture and business, he completed graduate studies at Northwestern University where he earned an executive business certificate from the Kellogg Management Institute.